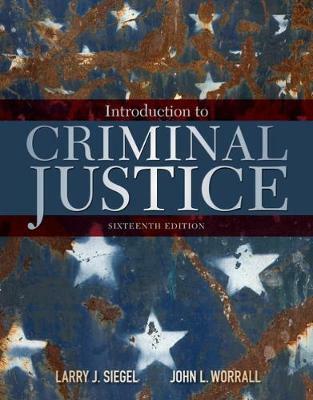 Engaging, visually dynamic, and packed with vivid illustrations, INTRODUCTION TO CRIMINAL JUSTICE, Sixteenth Edition, gives you an exciting behind-the-scenes look at the workings of the police, courts, and correctional systems while equipping you with a solid understanding of criminal justice concepts. With its balanced and objective presentation, to-the-point writing style, and interactive online tools, the text effectively guides you through the intricate workings of the processes of justice as well as key policy issues. In addition, an emphasis on today's career options -- including insight from numerous professionals on the rewards and realities of their jobs -- prepares you for success beyond the classroom.